How to make the outside of this card ? 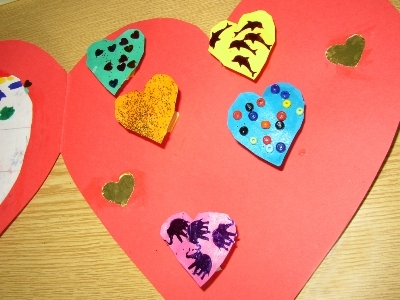 Using the stencils cut out 2 red hearts and let them hold to eachother by one side.Fold to make it one heart. Cut a heart out of corrugated cardboard. 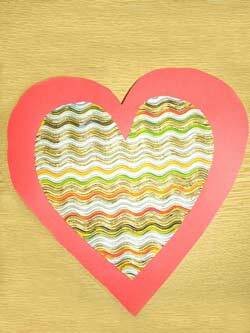 Go with the felt pens along each wave .Glue the corrugated cardboard heart on the red heart. How to make the interior of this card ? Make many" twists "as shown on the picture below on the left. 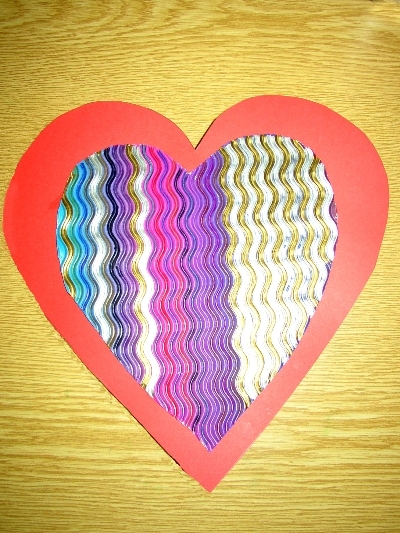 When the card is opened, the hearts will jump up as you can see on the next picture. 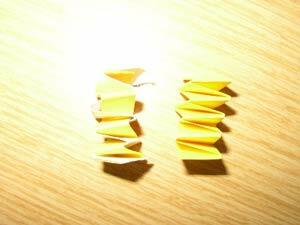 Twist are made following the same principles as used to make a garland : take 2 paper strips, glue the ends together, and pass alternatively a strip on the other. Attach the second end with a scotch tape. 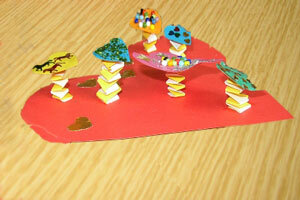 Glue then the twists on the inside of the card, glue on each twist a punched heart . 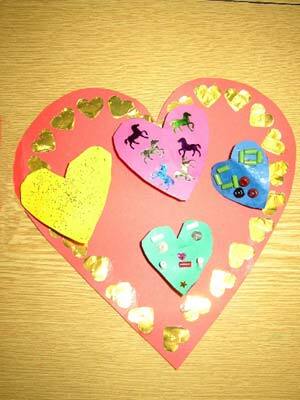 Use various sizes, colors and decorations ( spangles or pearls). 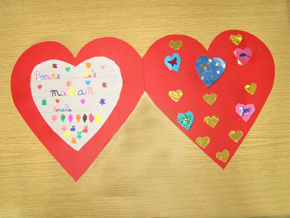 To finish, cut out a heart in blank paper, and write on it “Happy Mother's Day Mom”, and decorate.